This all-around craft fabric is great for school and home projects. It is made from Eco-Fi, high quality fibre 100% post-consumer recycled and BPA-free plastic bottles. 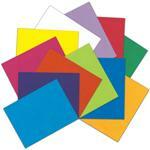 It is fade-resistant, cuts cleanly, sews easily and is machine washable. 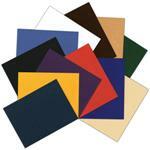 Rainbow Felt provides strength, softness, shrink-resistance and colourfastness in an environmentally-friendly product. 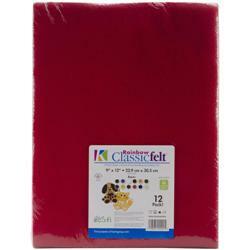 This package contains twelve 12x9 inch felt sheets. Comes in a variety of assorted colours.